The upcoming Nokia Android phones of 2018 are some of the most anticipated devices, but why so? Here’s everything you need to know about the comeback of the Finnish tech giant and how it’s here to stay. The mobile market is dominated by iOS and Android users today, but most of us remember the Finnish giant. The world was taken by a storm that was the Apple iPhone in 2007 and the then entry of Android changed the industry forever. However, the sheer popularity of the Nokia brand, despite its relatively weaker Symbian OS held down the fort. Fast-forward ten years and we see Nokia back in the news, making more than just ripples in the pool of Android devices. With the upcoming Nokia Android phones of 2018 breaking the headlines, let’s look back at why the resurrection of the mighty Nokia brand in this competitive Android market is a force for good. It isn’t like the mobile market was not competitive in the early 2000’s. Blackberry clicked with business users and Microsoft backed Palm for a long (and expensive) run. However, Nokia maintained a hierarchy with a large number of devices, all powered by different variations of the Symbian OS. The gold standard in build quality and user experience, Nokia has a strong physical existence across the globe. With Nokia Care support centers and retailing chains, Nokia maintained a lofty position in the mobile world for over a decade. However, the unveiling of the Apple iPhone led to an underlying rumble in the mobile world, which eventually paved way for Android. Three years after iPhone had already created a brand following and Android had geeks drooling, Nokia buckled up. In an attempt to counter the Google-owned Android OS, Nokia partnered with Intel to bring the Linux-based MeeGo operating system. After a year in development and millions of dollars on R&D later, all they had to show for was the unimpressive and Nokia N9. 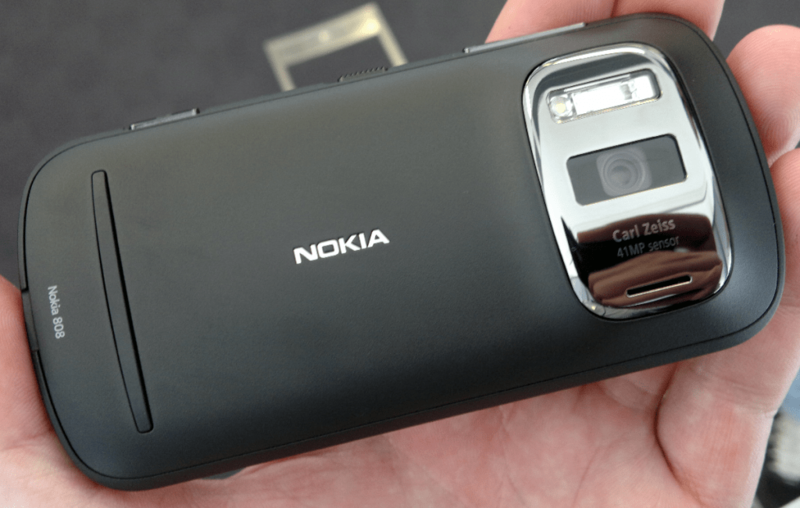 The year 2011 saw the end of Nokia, or at least it seemed that way. When the then-CEO of Nokia Stephen Elop compared Symbian OS to a “burning oil platform”, all hope was lost. In a scathing letter, he expressed how the hardware and software of Nokia were nowhere compared to iPhone from 3 years ago. He urged that Nokia needed to jump the ship and cut the loose ends before Symbian OS took it down. This was soon after Nokia caved in and revealed their partnership with Microsoft, and we all know how that went. The honeymoon period with the billion-dollar tech conglomerate was good for Nokia, which saw a revival that was short-lived. 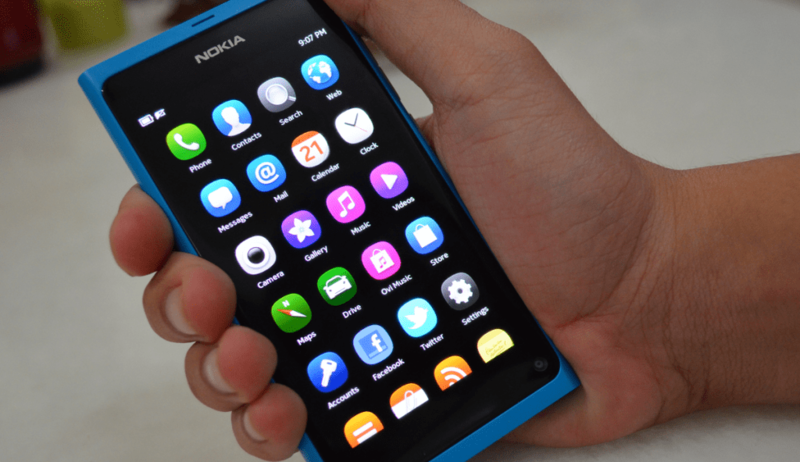 Nokia cut all ties with the MeeGo software platform with the Nokia N9 being the first and last device to feature it. The company ended the tradition and released the last Symbian OS device in 2012, the Nokia 808. Despite a decent response to Lumia 800, the first-ever Nokia Windows Phone, the sales dwindled. Once the king of the mobile market, Nokia filed for bankruptcy in 2012 despite. With the release of other Lumia devices and the Asha series of basic phones, Nokia maintained a minor market share for some time until it went up in smoke. Nokia announced to sell its mobile division, which would become Microsoft Mobile division under then-CEO Steve Ballmer in 2013. Reporting about the upcoming Nokia Android phones of 2018 doesn’t seem that far-fetched when you consider that the Finnish company had an eye for Google’s mobile platform since 2014. 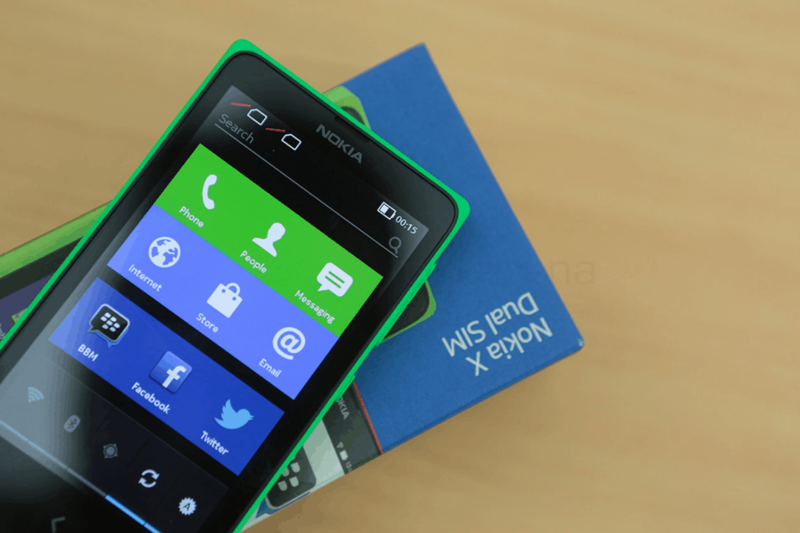 The company had teased the release of the Nokia X series, a number of devices running the Android OS. However, the hype leads to nothing since Microsoft pulled the plug on it once it acquired the mobile division. The takeover barred Nokia from selling smartphones under their own brand name until the end of 2016 and feature phones for another 10 years. In an attempt to stay relevant, the company rolled out the Nokia N1 tablet that was its first Android-run device. Microsoft Lumia devices performed horrendously on the mobile market, which forced the tech company to sell off the mobile division. In 2016, Microsoft decided to sell off the business to Foxconn-owned FIH Mobile, and a Finnish firm called HMD Global. Nokia soon partnered up with HMD Global, naming them the sole licensee of the grand Nokia brand for phones. Taking things slow and easy with a basic features phone at first, HMD Global released Nokia-branded Nokia 150 in early 2017. The center-stage at MWC 2017 was set for Nokia to reveal the legendary remake of the Nokia 3310. Not only did Nokia manage to make a few nostalgic heads turn, it also unveiled the first Nokia Android devices. With the mid-ranged devices like the Nokia 5 and Nokia 3, Nokia finally debuted in the world of Android. The anticipation for the upcoming Nokia Android phones of 2018 is not based on hype, but the fact that Nokia has shown potential to be a real competitor is the overcrowded Android market. HMD Global has successfully presented the Nokia 8 flagship smartphone that matches the top-of-the-line devices from Samsung and others. However, the field where we’re putting our money on Nokia being a big player in the Android world is not hardware. It is the dedicated software support of Nokia is what will take it to the top. Running a marketing campaign on the “Pure Android” experience, Nokia is compelling users where other OEMs have failed. The curious case of slow and irregular software updates has troubled the Android OS for years. This is an issue that even Google’s new Project Treble is trying to counter. In these times, Android OEMs such as Samsung have failed to bring even one major software version update to their mid-range devices. Nokia is breaking the status quo by offering users devices that won’t become redundant just a year from their release. In a drive to push forward the bare-essential Android experience, Nokia has already promised the latest Android 8.0 Oreo update. Not only is the beta testing already in full swing for the flagship Nokia 8, but HMD Global has also promised that the entire lineup of Android devices will receive not just Oreo, but the next major Android version update too. Let’s move forward into the new year hoping for our favorite has-been mobile brand to make a comeback. Here’s what we know about the upcoming Nokia Android phones of 2018 and what to expect from them in terms of specs, price, and everything in between. With the flagship status built already, the Nokia 9 is expected to be quite the successor. 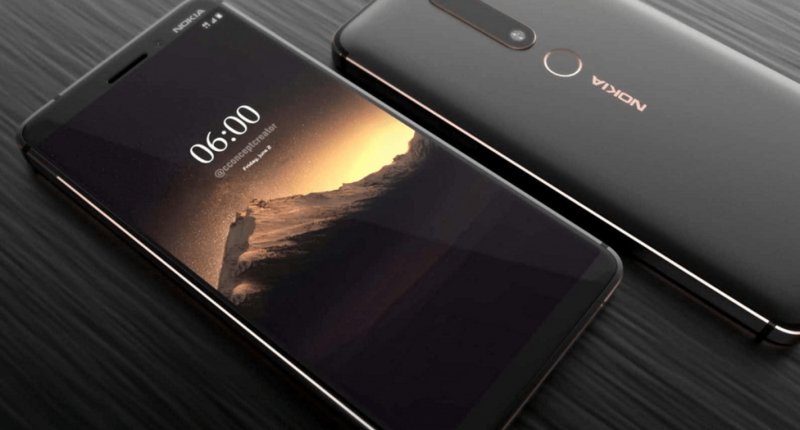 This leader of the upcoming Nokia Android phones of 2018 has already been spotted on the online documents released by the US Federal Communications Commission. The FCC has listed the device under the model no. TA-1005, boasting the flagship-worthy specs. Nokia 9 rumors point towards a bunch of improvements to keep up with the competition, from larger screen-size to camera optimizations. The FCC documents and other hardware leaks point towards a Qualcomm Snapdragon 835 SoC at the heart of the beast. While there was no mention of the available RAM capacity, there are hints of 128GB onboard storage and a 3250mAh battery. All of these are pretty standard specs for a flagship, but it is the camera where things get a bit more interesting. 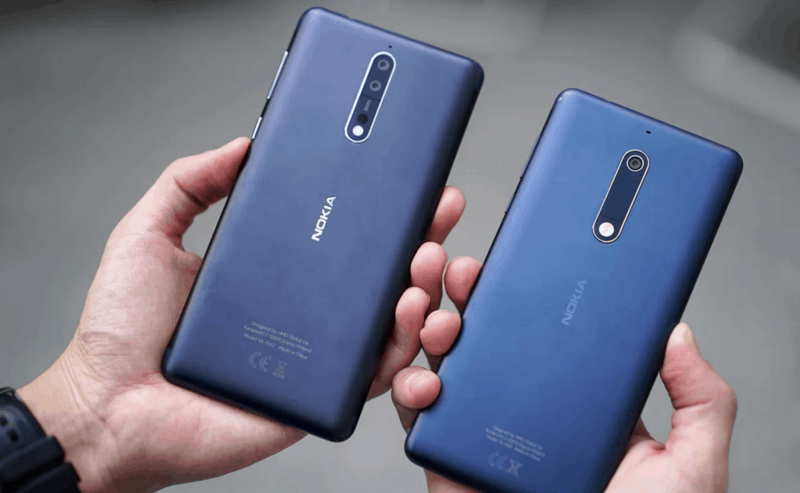 The dual-camera trend is most likely keep going with the 13MP and 12MP camera on the Nokia 9. The front camera is just a mere 5MP, which is a huge step down from the Nokia 8. However, the story is quite different once you to take a closer look at the hardware. According to the leaks, the front-camera module is Chicony CKACE16, which is a dual-camera setup, so Nokia 9 will most likely be a great choice for selfie lovers. While Samsung Galaxy S9 may end up coming out with a better processor, Nokia is walking toe-to-toe with a QHD OLED display for the upcoming Nokia 9. The 5.5-inch display is expected to ditch the bezels and offer the 18:9 screen ratio. The Nokia 9 is expected to come with an $800 price tag, and the expected launch date can be as soon as January 19. Samsung rolls out dozens of budget-friendly Android devices each year and most of don’t even blink. The reason you’ll never see us reporting on them is since they’re doomed with little to no software support. Nokia has a different approach where the promise of a software update is not limited to the expensive phones. This is why the rumored Nokia 1, the first device powered by the Android Go platform is a big deal. Expected to be released in March of 2018, Nokia 1 will be even cheaper than the current Nokia 2. The smartphone will run on the Android Go platform that is built especially for emerging markets. Out of all the upcoming Nokia Android phones of 2018, Nokia 1 might be the only one that costs as low as $100. For a crisp Benjamin, expect a 5-inch HD LTPS display and a Qualcomm Snapdragon 212 processor clocking at 1.2GHz. All of this will be paired with a decent-sized 4100mAh battery, 8MP rear camera, and a 5MP selfie snapper. The Nokia 1 might just be the go-to phone for those looking for an inexpensive Android device. The Nokia 6 of this year was a decent mid-range device, but it wasn’t without caveats. This formidable smartphone comes with an underwhelming Snapdragon 430 SoC, which is below the competing mid-carders. With the upcoming Nokia Android phones of 2018, HMD Global plans to bring the Nokia 6 2018 with more than just specs bump. According to the leaks from China, you can expect two different versions of the Nokia 6 in 2018. The early rumors suggested an 18:9 screen-ratio with larger dimensions than the current version, but the latest reports are contradictory. China’s certification documents by TENAA point towards the standard 16:9 screen ratio, but with reduced bezel size. Increasing the screen-to-body ratio from 70.7% to 73.2% this time around, the newer Nokia 6 will be thicker and heavier. The report also points to a Snapdragon 630 or 640 processor with a clocking speed of 2.2GHz. This comes with 300mAh battery capacity, 4GB of RAM, 64/32GB onboard storage and a front/rear camera of 8MP and 16MP. The only disappointment was that the device during the test phase is running Android 7.1.1 Nougat. However, the software version could easily change to Android 8.0 Oreo by its expected release at the Mobile World Congress in 2018. It was a crafty marketing technique to draw nostalgia of Nokia 3310 for the launch of the Nokia Android lineup. However, if the feature phone wants to be relevant, upgrading the Nokia 3310 to support 4G was essential. Nokia is harnessing Android for the upcoming Nokia 3310 which was spotted on the TENAA online documents. The images clearly suggest that there’s going to be no design overhaul, but the insides will see a massive upgrade. Reports from China suggest the phone will run YunOS, a variation of Android developed by Alibaba Group. With no touch-support and bare-minimum hardware prowess, Nokia 3310 might bring basic features like cloud support and some Android apps. 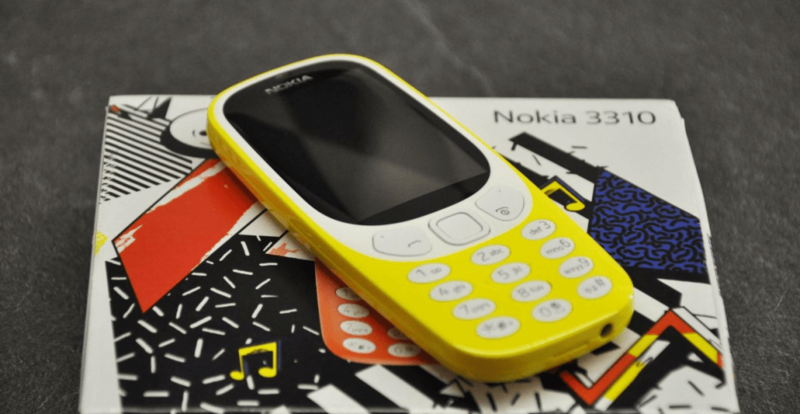 Are you excited to see the upcoming Nokia Android phones of 2018 and Android running on the Nokia 3310? Will Nokia rise to the top of the mobile market once again, or will it continue to be a mid-carder? Be sure to drop in and voice your opinion in the comments section down below right now.